On each dinner plate make a wreath of romaine. 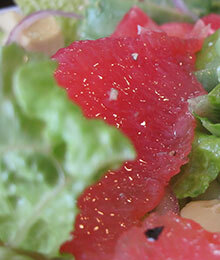 Make an inner circle with onions and grapefruit. Pour over dressing.